Do you say it early and often to your donors? If you don’t, then you may be losing some serious leverage when it comes to building support for your cause. Considering that about 80 percent of first-time givers never make a second gift, the distinction between givers and donors is an important one! When and how you say “thank you” represents the single greatest opportunity for encouraging second gifts, third and so on. Multiple gifts mean you’ve converted a giver to a donor, a casual contributor to a friend with potential for lifetime involvement. Every gift, regardless of size, is an opportunity to connect, to deepen engagement, and to create advocates and investors for your organization. In fact, I believe that donor appreciation is the “engine” that drives the development process. All you need to do is add a generous dose of “STP” to get and keep your fundraising engine in race-winning shape! When you are specific in your gift acknowledgement, you demonstrate accountability and respect for your donor’s intent. Not only that, but telling the story of how the gift will be used makes it more tangible, and therefore more meaningful, for the donor. Be as specific as possible, even if the gift is not restricted or designated to a specific program or purpose. You know what it costs to run your organization or program for a year. Divide that cost by units that make sense, e.g. number of clients, services, bed nights, case management hours, days of operation, etc. This is a real-world figure that represents a per-unit cost for delivering on your mission, and it can be applied to even modest donations. The best practices standard for gift acknowledgement is within 48 hours of receipt. Prompt acknowledgement demonstrates your professionalism and tells donors you value their support. Slow or, heaven forbid, no acknowledgement sends the opposite message. Be sure you prepare in advance for heavy donation periods, e.g. a special event, a year-end direct response appeal. Being inundated with donations is a superb problem to have, but it’s no excuse for long lag times in the acknowledgement process. Remember, people give to people, not to organizations. 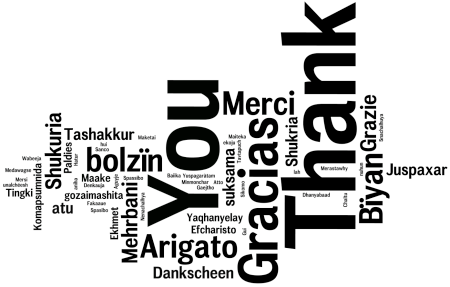 A personal expression of gratitude deepens engagement, invites dialogue and creates relationships. You can’t do all that with a tax receipt. Even a quick handwritten note on a standard acknowledgement letter gets noticed. Personalizing your response is where involving others in your organization really comes into play, from staff at all levels to board members and potentially even clients. A bonus of getting board members involved in thank-you calls, for example, is that it not only deepens engagement with the donor but boosts the board member’s buy-in as well. Now that you’ve revved up your fundraising engine, make the most of the opportunities inherent in every check, on-line or in-kind donation. Be ready to educate newer donors, to invite and connect donors to your mission in meaningful ways, and to reflect in your response the significant interest signaled by your largest investors. Educate: Education tools can include a “welcome kit” for new donors, with a special message, pictures or video links; a copy of your latest newsletter or annual report, accompanied by a handwritten note; or program material with more information on a donor’s area of interest. Keep in mind that storytelling is the most effective means of engagement, using statistics only sparingly. Don’t overwhelm. Invite & Connect: Consider how you can “show” and not just “tell” the story of your organization. Interactive activities invite inquiry, spur dialogue and help your donors develop the emotional connections that motivate giving. Site tours, forums featuring testimonials from community partners or service beneficiaries, a “behind the scenes” discussion with the CEO are just a few ideas for launching such engagement. Be creative, and make sure you invite newer donors (like those first-time givers from your special event) and those who have indicated a deepening interest through multiple donations. Reflect Investment: As your largest investors, your major gift donors or prospects need and deserve more detailed information on your work. Fundraising research tells us that high wealth individuals value impact, as in this 2014 U.S. Trust Study, and want to know how their investment is paying off in community benefit. Put the magic of “thank you” to work by making these and other ideas work for your particular organization. Work closely with your finance or accounting staff to establish donation processing procedures. Seamless information flow between finance and development supports both fiscal accountability and effective donor stewardship. All key stakeholders should be involved in your donor acknowledgement plan, including executive and program leadership, board members and, whenever possible, service beneficiaries. Your plan should reflect giving levels that are appropriate for your organization, what acknowledgement/recognition donors receive at each level and who is involved. Use this handy worksheet to get you started! Thank you. Into those two little words are packed a multitude of possibilities for your organization and those you serve. What are you waiting for? Start your engines! Comments on "Fundraising Success in Two Little Words"